I love how effortlessly chic bohemian styled pieces are to wear. This top is incredibly comfortable and just flows in all the right places. It's one of those pieces you can throw on when you want to feel comfortable but still look stylish. 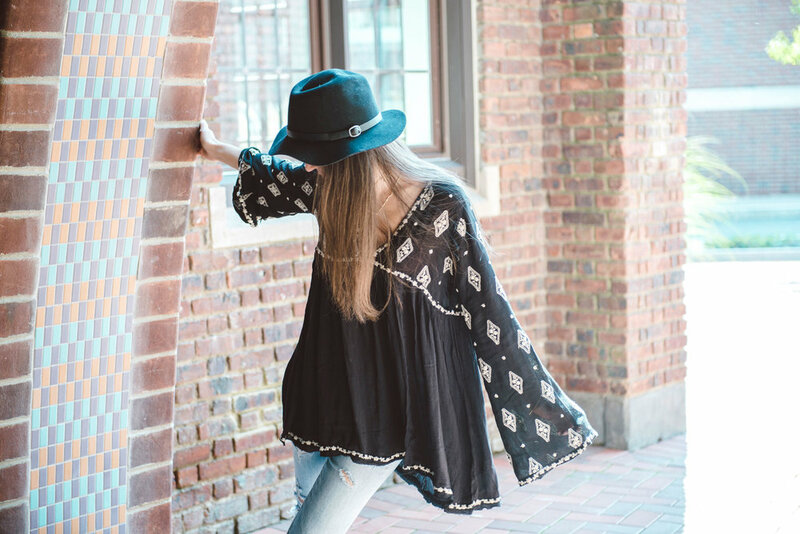 The long bell sleeves and embroidered details are just perfect. It pairs perfectly with some big statement earrings and layered necklaces. Throw on your favorite booties and wide brim hat and your really to fall head long into Fall.